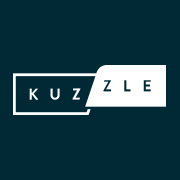 Kuzzle follows DevOps guidelines and lets teams maintain control of data privacy, network performance, cloud billing, scalability and platform connectivity. Our product is built with cutting-edge open-source components, available and scalable on all cloud platforms and Linux distributions. It can be deployed on-premises and can scale horizontally on any cloud service, intranet, IoT hardware or on your existing Linux or Docker infrastructure. Security layer provides 300+ authentication strategies, including JWT and OAuth2, and a fine-grained policy management to control access to your API. IoT: Power your IoT applications and communicate through HTTP, WebSockets, MQTT or any custom TCP protocols, thanks to Kuzzle multiprotocol support.